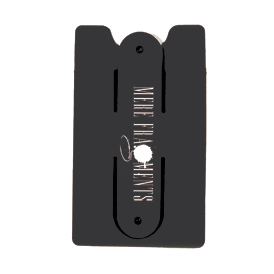 Use this handy pocket to keep cards close at hand. This pocket conveniently props your phone up. 3-M adhesive on the backside sticks to your phone or phone cover. 1 PMS color screen print in 1 location. 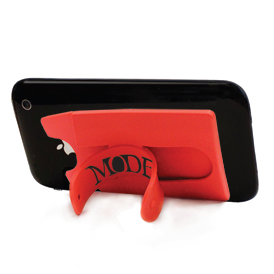 Fold down silicone stand attached to pocket. For additional screen printed color, add .12 (C) and 32.00 (G) set-up charge per color. Maximum of 3 colors. Custom pocket in PMS matching available for quantities over 500.